First visits are very similar to first dates! Both sides have an idea of what the other person is like, but only through communication can a relationship be forged, and this takes TIME. 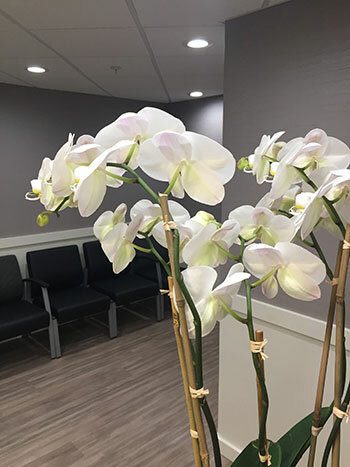 Our first visits are approximately 90 minutes, and include a review of your medical history, including all medications, allergies, past and current illnesses, a thorough dental exam, dental x-rays, and a hygiene (cleaning). Our goal here is to get to know you and your dental condition, so that we can develop a plan to improve or maintain your dental health. Our goal is not just a “second date,” but a long lasting relationship! Please visit our Web Forms portal to conveniently fill out New Patient Forms online. Our office accepts cash, check, and major credit cards. We are a fee-for-service practice, and do not participate in any dental insurance plans, but will submit dental insurance claims electronically for our patients with insurance. Payment is expected at the time of service, and insurance checks are sent directly to our patients. Insurance checks which are inadvertently sent to us are signed over to the patient. Additionally, we will provide support as needed in the event of an insurance issue. Our goal is to help you to maximize your dental benefits. We offer an in-house financing plan. Call our office to learn more. We also offer financing options through CareCredit. Learn more and apply for CareCredit to help finance your procedures.